Meg Whitman, the chief executive of auction website eBay has resigned after a decade at the helm of the firm. She will step down on 31 March and is set to be replaced by John Donahoe, who is currently in charge of the firm's main auction business, eBay said. The news came as the US firm posted a market-beating 53% rise in profits for the three months to December. Ms Whitman has been lauded for turning eBay into a powerhouse in e-commerce. She will remain a director at the firm. There had been speculation about her departure earlier this week so it did not come as a shock, while it was also known that Mr Donahoe was being groomed to take over the top job. Analyst Martin Pykkonen at Global Crown Capital, called the appointment "no big surprise". "It's more a question of what he's going to do... about fundamentally regenerating their revenue growth rate with sustainable margins," he said. 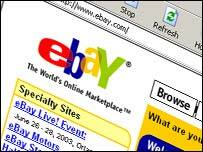 When Ms Whitman joined the company in 1998, eBay said it had $4m in revenue and 30 employees. It has since grown into a multi-billion dollar firm with 15,000 employees and has expanded into a variety of businesses, including buying online payments service PayPal and internet telephone service provider Skype. But growth in its core listings business has stagnated and analysts are keenly anticipating a new strategy to deal with increasing competition. eBay's guidance on earnings for the coming year fell short of expectations and it is expected that its shares will fall when trading opens in New York on Thursday.